As a Realtor it is essential to cast a large net when reaching customers. 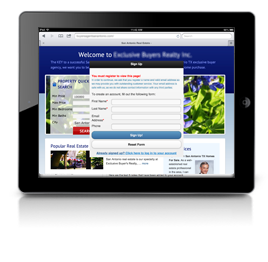 Mobile IDX Broker pages can capture leads on any device! Mobile Wrappers (Default). We've replaced the myAgent iOS with a web-based solution that has the same look and feel. These give your visitors the App experience for any device - regardless of the operating system, browser, etc. Mobile Responsiveness (provided your website is "Responsive"). With mobile responsive templates, your designer or developer is able to build out an integrated IDX website that works seamlessly on any device! IDX Broker Lite and Platinum are responsive to any mobile device. Leverage mobile traffic with Mobile Optimized IDX Pages and Mobile Friendly Widgets designed to resize and fit the resolution and dimensions of the device they are being viewed on. You can even customize the mobile experience further in Platinum using our advanced Mobile CSS Tools. Providing mobile users with an enjoyable experience, with quick load times, is a game changer in the online market. 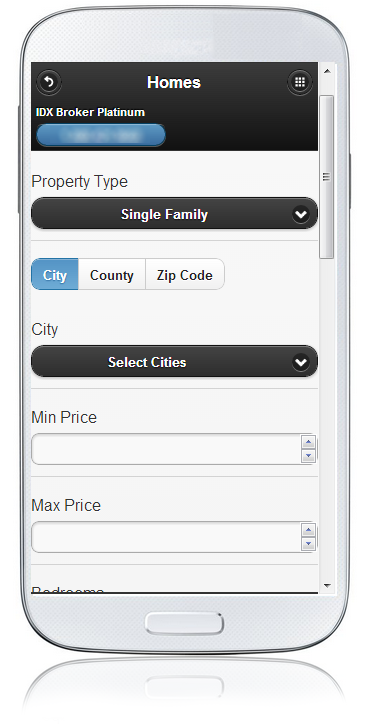 Design and customize your IDX Mobile Responsive Ready Site right from your control panel. Build a branded mobile experience, including your name, logo, contact information, and page details, for all of your visitors, no matter what they use to acess your site.